Edited by NewErr, 08 January 2016 - 11:15 PM. 980ti is better! but that's a very nice rig all the same! Naz, here in 2016 Nvidia will be releasing their "pascal" cards which haven't been officially named generation 10 or if they will name it something else, we don't know. Well currently I run last gen games at full HD resolution (going 4K resolutions seems rather unnecessary) at 60 FPS with very rare cases of frame drops(usually when there is a lot of smoke or other particles rendering). When I can't run the games anymore (hopefully a very long time from now ) I will go with a SLI with another 980GTX. Of course 980TI is better but yeah... if I wanted that I would have needed to wait even longer and I ran out of patience. Anything beyond 24" is not worth, at least for me, I mean even with 24 I sometimes feel it's a tad too big. You want to play the game not watch a movie, for that I understand a big screen. For normal surfing/development is better to have a decent thing. (between 17 and 24 - 15 is too small). As for visually work or programming is better to have several monitors rather then one big one. But that's just my 2 cent. Yeah I would play Battlefront at 4K rez if somebody would offer me but not on long term and for my money I'll go with 24". 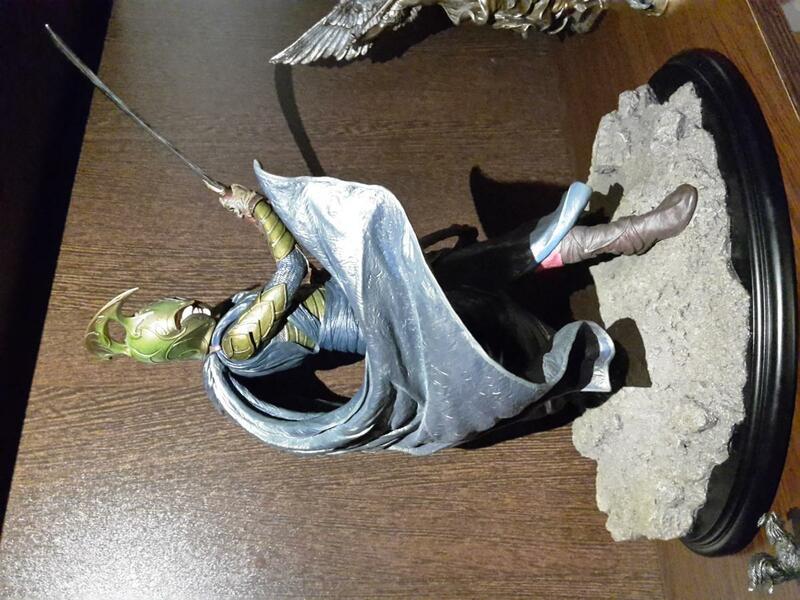 Dunno if anybody is still around here but I just wanted to celebrate my Noldor Warrior! Yeah this is still my favorite armor design from all 6 movies. This is my ultimate elf-nerd demonstration. Very cool. Guess you've got the perfect reference material now, right? Good lord... the sheer detail. Also, nice chicken. 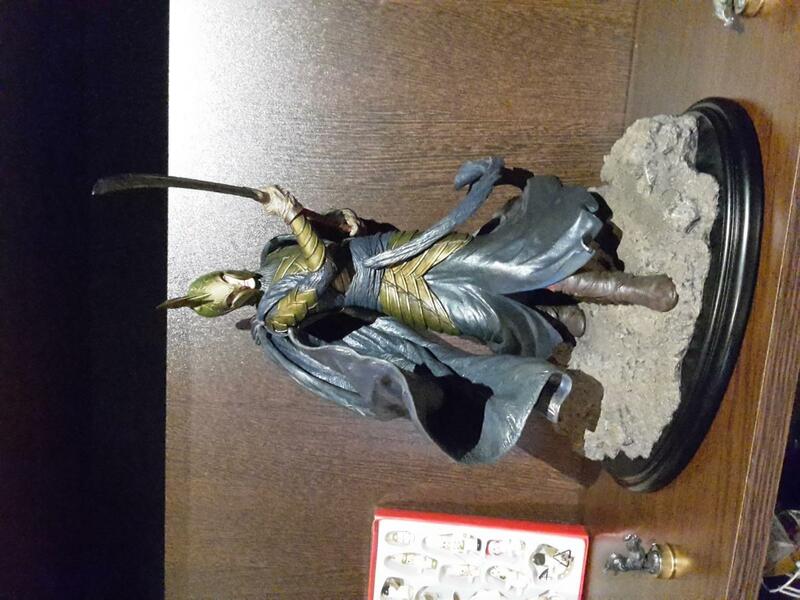 @Mathijs: Indeed, I plan a Noldor polishing soon. Haha! @Pas: Yeah the chicken is my roommate's, who will guard the Elven Warrior to the death! Passed 10 years here about 2 months ago. So that's a thing. Yeah, I'm about one month away from the nine year mark. Holy hell. I was (barely) thirteen. I joined this forum in middle school and have now graduated collage and am employed. On that subject -- I'm employed! Job hunting is awful. I'm glad I didn't stress about it senior year of college and just focused on enjoying the rest of my time at school but damn being unemployed until Thanksgiving was miserable. I'm working as a (the, actually) software engineer at a medical AI startup, doing mostly front-end work right now but hopefully moving into machine learning at some point because that would be dope. It's kind of crazy how you can job hunt for months, sending out so many resumes and cover letters, and not feel like you're making any progress. And then suddenly, a fraternity brother's uncle's cousin is consulting for a startup that needs a smart kid with a computer science degree to do some work for them and a week later you're employed without even having an interview. Also, I celebrate finding my wallet. It was in the car between the seat and door. So today I took the fire fighter exam. I think I did really well. Did you ever find out how you did? That one I technically passed it, but they only took the highest scores while I just barely passed. I did take another one for a different city and will find out the results early in August.